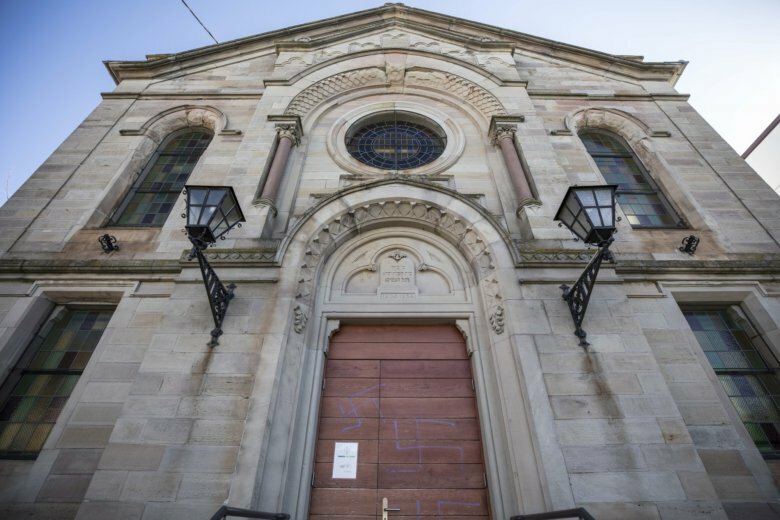 MOMMENHEIM, France (AP) — Vandals have scrawled anti-Semitic graffiti on a former synagogue in eastern France, the latest in a string of incidents that have caused nationwide concern. Swastikas were discovered Monday on the door and facade of a building in the town of Mommenheim that formerly held a synagogue and has Hebrew lettering etched above its doorway. The building now houses a sports facility. In the same region, some 80 gravestones at a Jewish cemetery in the Alsace town of Quatzenheim were recently vandalized. Tens of thousands rallied around France last month against anti-Semitism.